More Images of Brussels and Antwerp. Yesterday I promised more images of our visit to Brussels and our drive back to Brasschaat via the Antwerp quayside and the Port. My mom took these photos. They are really neat. 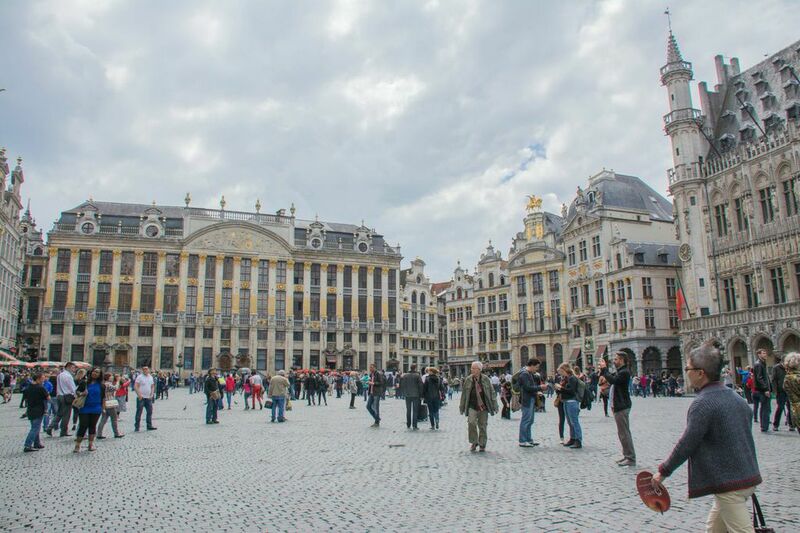 First up is a better view of the Grand Place in Brussels. The Grand Place in all its baroque glory. We were going to stop and take the elevator to the top of the Atomium but there was no parking within a mile. So, we will do it another day. 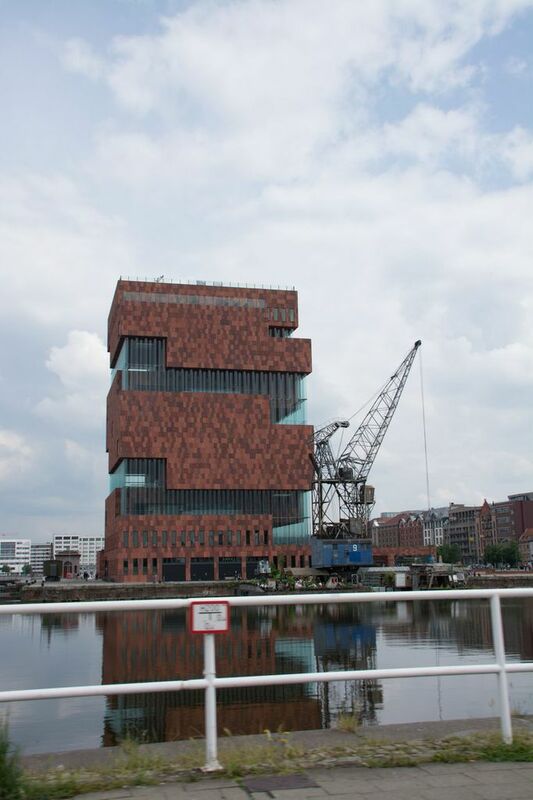 This is the MAS or Museum on the River in Antwerp in the Basin area of the Port. We’ll go back some time before we leave for Paris and Venice. 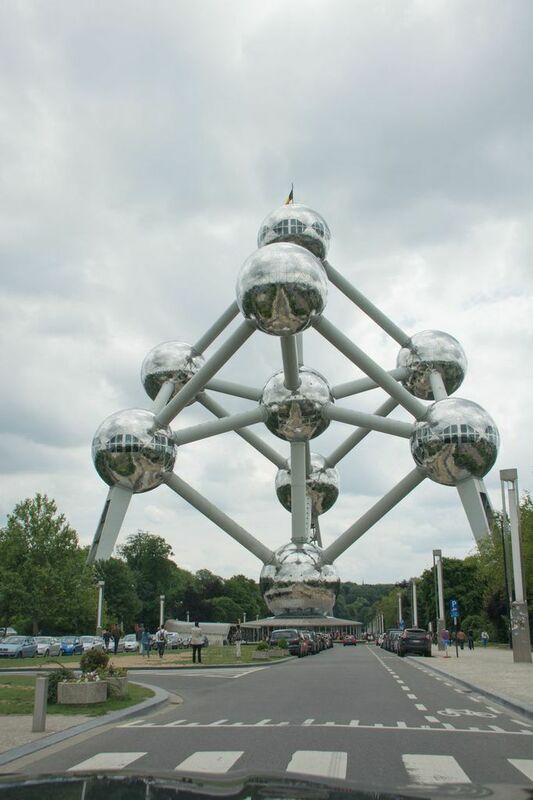 The Atomium structure from the 1958 Brussels World Fair. The MAS or Museum aan de Stroom or Museum on the River in Antwerp port basin. We visit this weekend. Next to the MAS in the port basin is the famous north sea lightboat, the West-Hinder. It is now a tourist attraction and tomorrow we go back to both the boat and the MAS. The Lichtboot (LIghtboat) West Hinder docked in the Antwerp Port basin by the MAS. As we drove out of the Quayside and more into the Haven or Harbour and port we came across Brabo, the floating Derrick crane with a lift capacity of 800 tons. 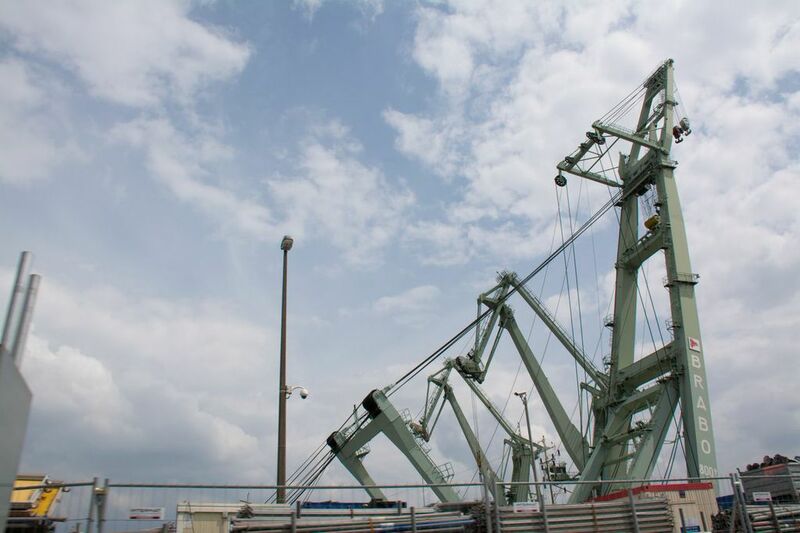 Brabo, a floating derrick crane, can lift up to 800 tons. Further along the Quayside road toward Ekeren, where my Mom was born, we passed some Wind power turbines but they were idle. 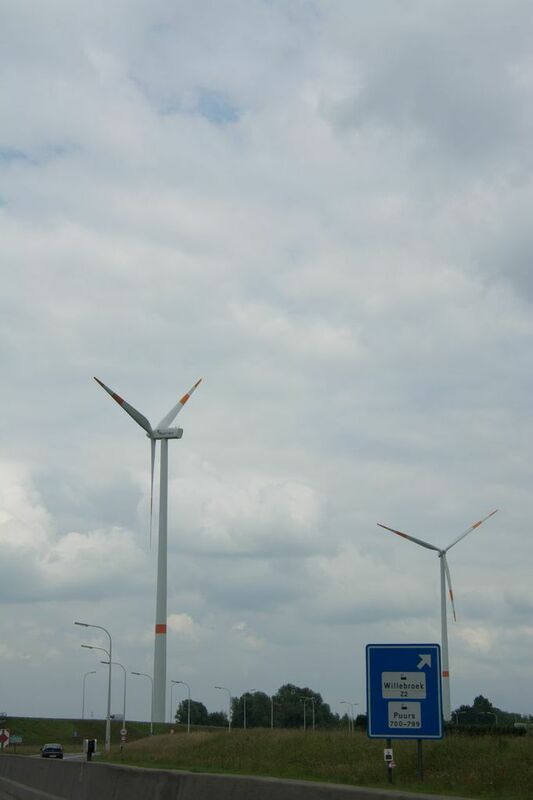 Two Wind power machines on the edge of the Port of Antwerp toward Ekeren. That’s it for now. 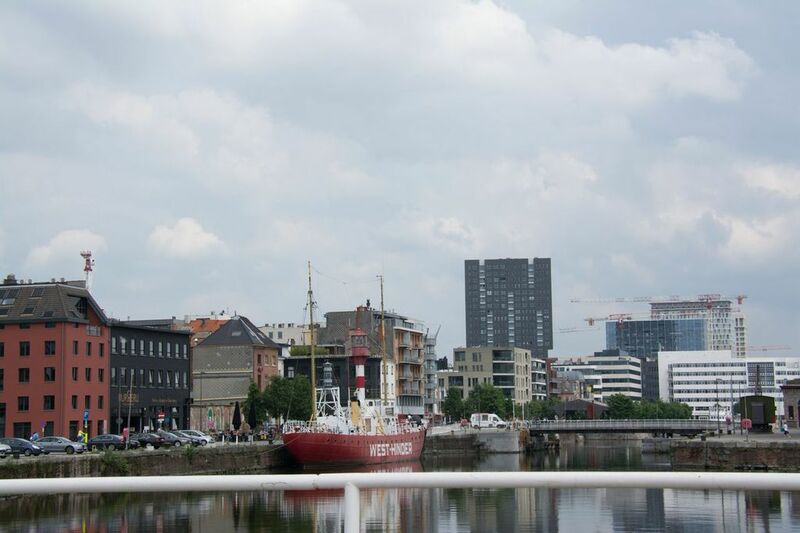 This is Frederick and tomorrow more of the great city of Antwerp including a few pictures of Brabo and why he is so important to the history and culture of this city. ← A Short Day in Brussels.